You don't need to be an artist to create great-looking house building plans. ConceptDraw has many examples and templates for drawing floor plans, house floor plans, office layout plans, electrical layout plans. with our Floor Plan software. ConceptDraw DIAGRAM diagramming and vector drawing software enhanced with Building Plans Solution from ConceptDraw Solution Park helps architects and building engineers. With Building Plans Solution you have the ability to develop design proposals, communicate ideas and concepts that relate to a design, communicate requirements to a building contractor, record completed work, and make a record of what currently exists. 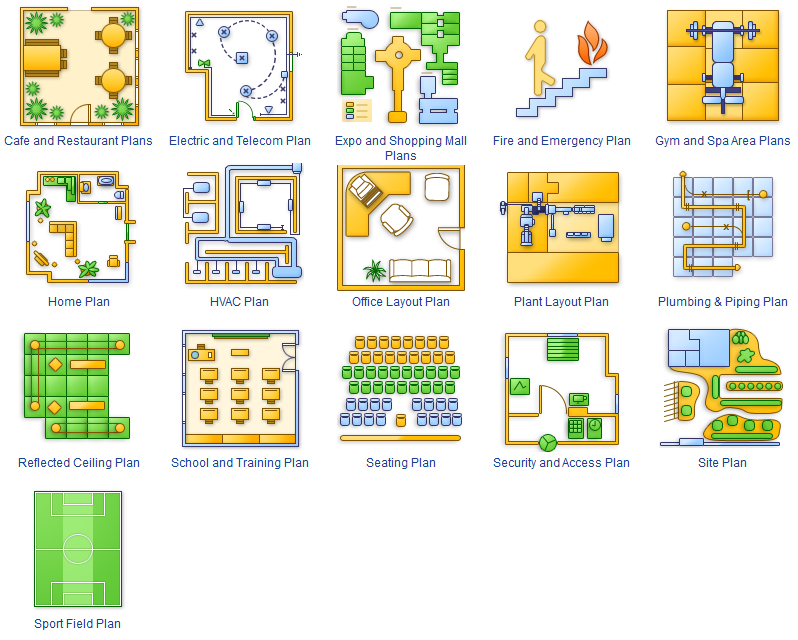 The Building Plans Solution Examples illustrate how you can draw floor plans, site plans, plans of building services, fire and emergency plans, and furniture and equipment layouts.